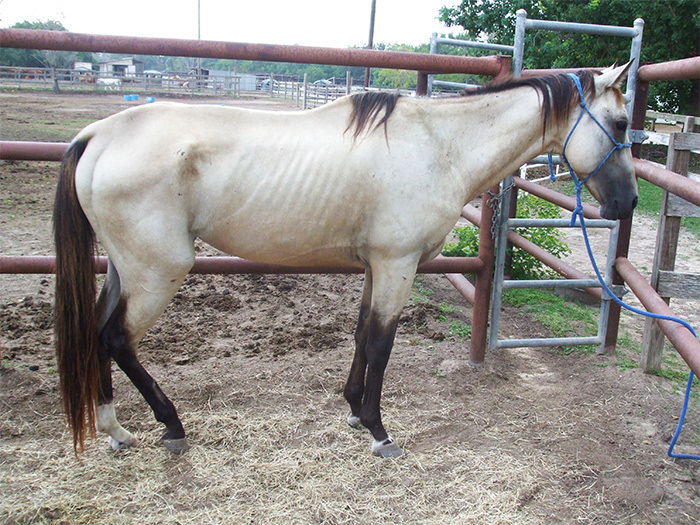 Burkey needs TLC due to being underweight before he can be evaluated. 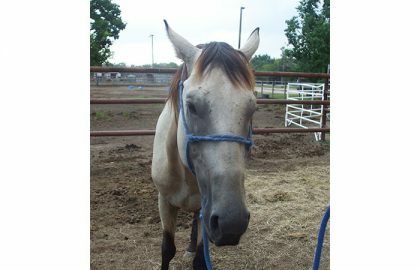 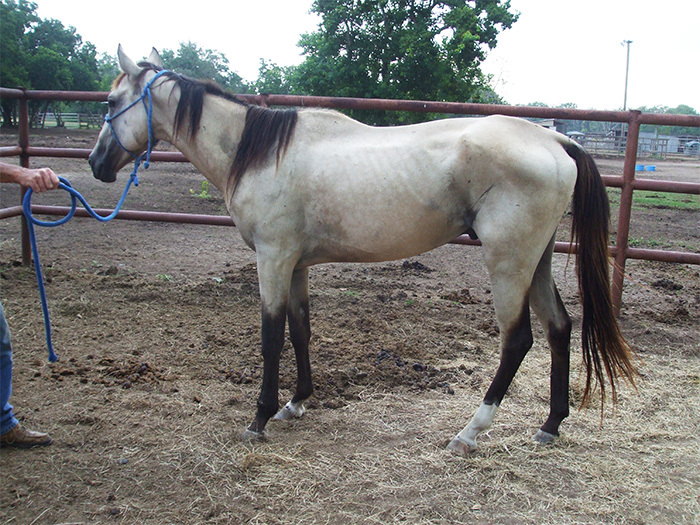 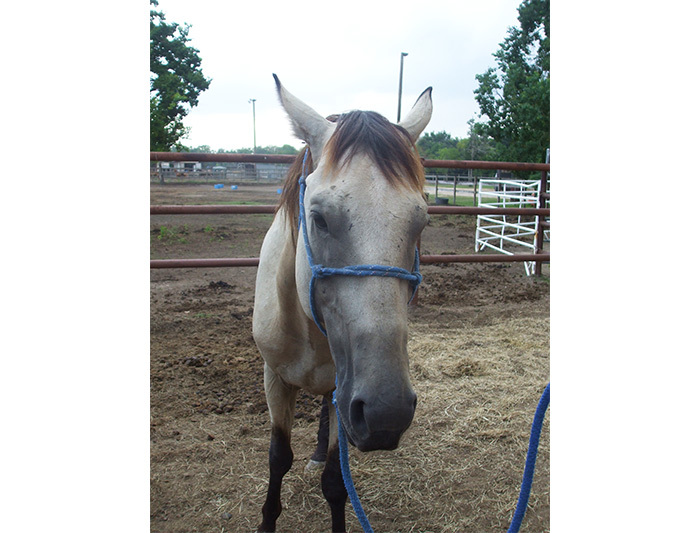 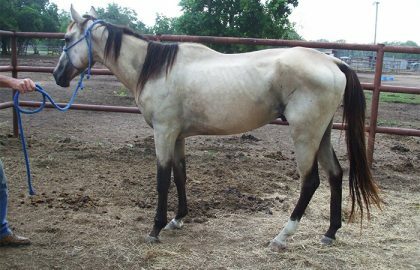 He is a buckskin colored Quarter Horse. 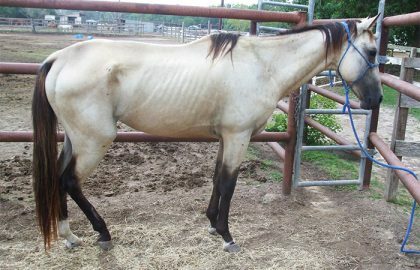 Once he has gained more weight, he will be evaluated for his abilities. 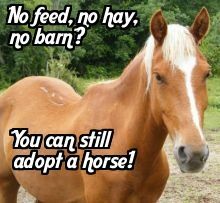 Please call us for more information.